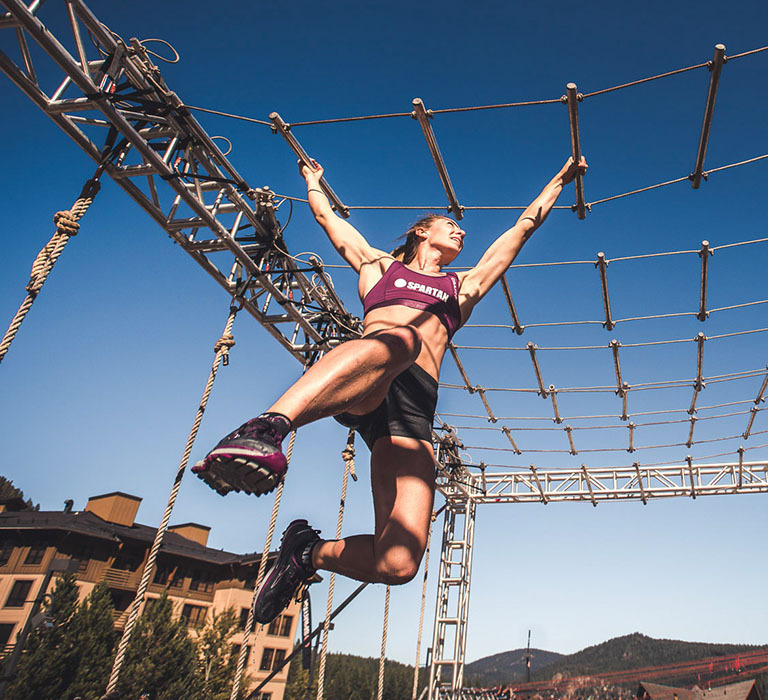 Can training for Spartan races also work as cross training for runners and prepare them for the likes of a sprint triathlon, a road race or an ultra trail run? Yes! Spartan training can prepare you for anything. From the company boardroom to the valleys of a trail running ultra, Spartan training is one of the best cross training options out there to make you a better version of yourself both mentally and physically. It offers dozens of online programs as well as access to hundreds of Spartan training professionals who have mastered cross training and can help you prepare for challenges on and off the course. Some of these challenges come in the form of new sports like running ultras, half and full marathons, and triathlons. Advanced runners who want to push their limits can opt to cross train in other events while preparing for the upcoming Spartan race season. Many racers want to venture out of their comfort zone and try different things, and 2019 is the year to do it. Spartan just expanded its portfolio with two distances of trail races: a 10K or a half-marathon. You can also choose something outside of the Spartan racing portfolio, like a local half-marathon or triathlon. Maybe you aspire to become an Ironman. Good news, if you’re already racing Spartan races or training to do so, you’re ahead of the game; just be sure to ramp up your cross training workouts. I’ll use my own personal experiences as an example of how to maximize your cross training for runners. As I was training to get better at Spartan Beasts, I was using half-marathons and 25K trail races to develop the endurance and pace I wanted out on the Spartan course. For cross training and active recovery, I found myself on the bike more often and got excited about trying my first duathlon. 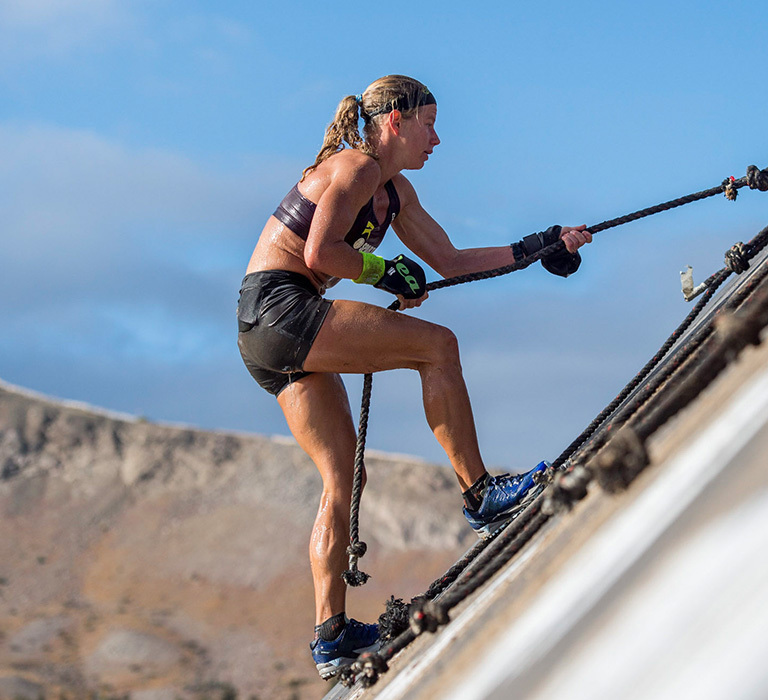 These are examples to show you how this type of cross training for runners can be a natural progression for a Spartan racer. The programming you use to build and develop your way from sprint to super to beast (the basic Spartan Trifecta) is pretty significant. For example, a cross training for runners program would look like this: would start from couch to sprint and continue to push your limits until you were able to handle the distance, elevation, elements, and obstacles of a beast course. Basic programming would take you through a series of exercises and strategies to develop your cardio, overall strength, endurance, and flexibility. Unsure about the obstacles when running a Spartan for the first time? Get through the first obstacle, which is the course distance, by doing a Spartan trail race. This may be a good way to work up to doing a sprint or a super when you’re ready. Most people have heard of triathlons, from the sprint triathlon on up, but for those who haven’t, a typical triathlon includes three events: a swim, a bike ride, and then a run. These events come in all shapes and sizes, from a 100-meter swim, 10-mile bike ride, and a three- to five-mile run (sprint triathlon,) all the way to the Ironman where you end your event with a marathon having just concluded a 112-mile bike race and a 2.4-mile swim. A good frame of reference to understand the nature of the event is the amount of time it will take to complete. If you’re in reasonably good shape, and have had your cross training for runners program in high gear, you’ll finish a sprint triathlon in an hour or less. In an Ironman, top competitors finish in the zone of eight to nine hours and the rest of the field trickles in up to 17 hours after the start. If you are training for a Spartan Beast or Ultra, you can already run these distances so you would only need to master the bike and swim. For a sprint triathlon, if you can ride a bike and know how to swim, you’re probably good to go. In my case I did exactly what was considered best practice for cross training as a runner to prepare for a triathlon: I started to develop the other areas of my body and consider how to train those specific areas. Being a Spartan, I was already ahead of the pack even without any experience. The great news for many Spartans is that you may already be doing some of these activities. Swimming is great active recovery for Spartan races, so you may already be developing your swimming ability with your current training program. You may be doing light bike rides to stretch out your legs or develop cardio without the impact on your knees. Still, you might ask, “What if I want to do a sprint triathlon, but I am not a good swimmer?” You can do a triathlon without the swim! Do a duathlon, which is biking and running only. Hate the bike but love to swim? Do an aquathlon event, which allows you to swim and run with no bike ride. The point here is that you are able to transition among events like sprint triathlons and duathlons and Spartan races and use the same cross training for runners routine with small changes. You still need to develop full-body flexibility and fitness, and your nutrition needs to be on point. All of these can be considered endurance events to those who are new to them because it requires a deep commitment to your diet and training to complete them, and many of these events take some time to complete. If you’re a Spartan racer, you are already doing what it takes to be involved in other activities like bike races, snowboarding, martial arts, rucking, and anything else your heart desires. The key is to be active, follow a dedicated plan to staying fit—making slight adjustments based on what you will be doing next—including your cross training for runners—and make sure you are always considering how your activity affects what you need to put into your body to fuel it correctly. Although you want to do more, remember the cross training for runners mantra . . . do not overtrain. Listen to your body, fuel it correctly, rest appropriately, and heal injuries if you get them. “Doing more” can come to a screeching halt if you bonk or sustain an injury. The secret sauce in cross training for runners is this: keep moving, and keep training. Do not overtrain but fill in the gaps with activities that fuel your passion while they develop you in other ways. This, in turn, will also prepare you to do other active lifestyle sports and activities that are exciting just like a Spartan race. If you race to be competitive, every one of these activities mentioned offers opportunities to compete all the way to the elite level. Being a Spartan, you have already started your journey, now whether you decide to become an ultrarunner, endurance rucker, or competitive snowboarder, you have already STFU! It’s a leg up on your competition! So back to our original question, can the Spartan lifestyle really work as cross training for runners? The answer is yes!